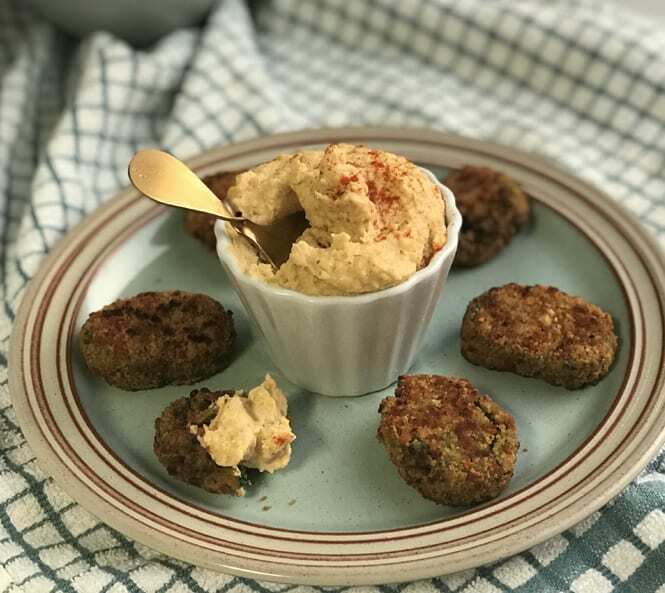 Our Spinach Bites with Sweet Potato Hummus provide the perfect mixture of hearty and healthy! This shareable snack packs a vitamin punch, with our Spinach Bites delivering plenty of iron and fibre. Add in the rich and flavourful touch of hummus made from our Garlic Roasted Sweet Potato Chunks and you get a tasty side or starter that’ll impress your guests or picky eaters! Preheat the oven to 200°C and cook the Garlic Roasted Sweet Potato Chunks as per instruction on the pack. Make the hummus by blitzing all ingredients and gradually adding the sweet potato chunks, blend until smooth. Place hummus and Spinach Bites on a dish and serve.